Heavy 12 ga. reinforced steel deck for load capacities to 3600 lbs. Available with Floor Lock or Wheel Brakes. 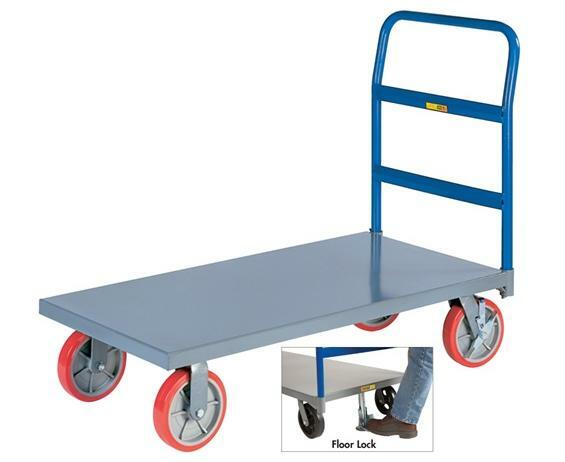 This industrial grade welded steel platform truck stands up to years of work around the office, shop, warehouse or plant. Removable pipe handle with 2 cross braces. 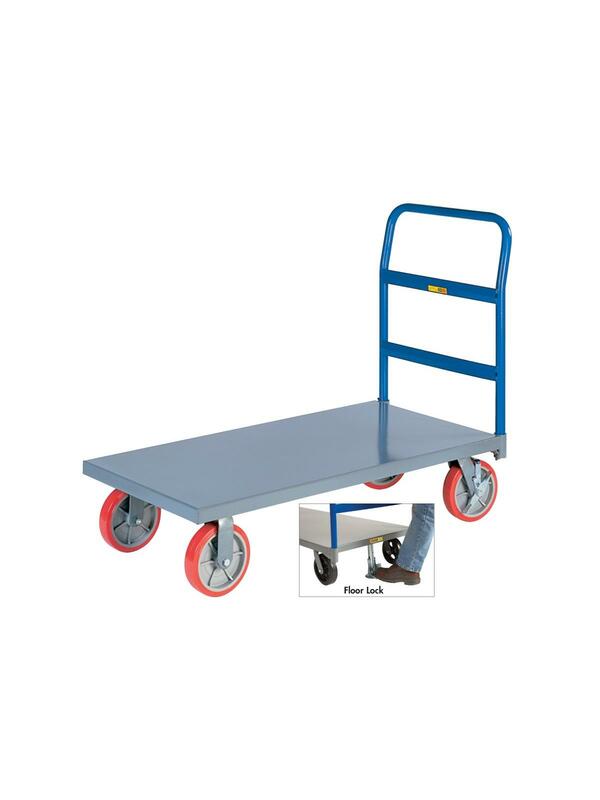 Smooth rolling mold-on rubber or non-marking polyurethane tread wheels. Also available with Floor Lock or Wheel Brakes to help prevent unwanted movement. FOB Shipping Point.